According to a report published today, Microsoft is laying off employees in multiple countries that were working for its mobile division. Some of those laid off were employed in Finland and had become part of Microsoft's mobile division after the purchase of Nokia closed back in 2014. The report goes on to add that some of the employees affected were working in a marketing department that didn't exist until Nokia Devices and Services became part of the software giant. The exact number of job cuts is unknown at the moment, although it is believed to be a number in the "dozens." Last July, Microsoft announced layoffs of up to 7800 in its smartphone hardware division. At the same time, the company took a charge of $7.6 billion. 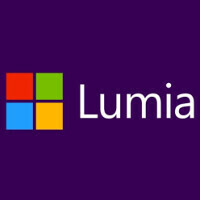 Microsoft sold only 4.5 million Lumia handsets during the fourth quarter, and the company makes more money from licensing its Android patents than it does from selling its smartphones. Some are expecting Microsoft to launch a Surface Phone in the second half of the year. The device will reportedly be more about design than specs, and focus on enterprise sales. Since Microsoft makes more money from Android and likes going after all the OEMs, and forcing them to be install their apps anyway. I think it makes more sense to support the OEMs Android devices, than it does to support a dead platform like Windows Phone/Mobile. Besides it's missing the apps and ecosystem. Windows Phone is Dead. Now rise Nokia RISE! What "MS Universal apps" are you talking about??? That's what happens when two of the largest tech companies merge together, large layoffs then trimming the 'fat'. Nothing out of the ordinary of a large buyout. Clearly surface team are going to pick up marketing because that's the only hardware department with growth. No it's not. It's the reaction of an asshat, if which there are plenty in each camp, iOS, Android and WP. My reaction, as an Android user, is sympathy for the people who are losing their jobs, while the folks who caused the problems thought extreme mismanagement never feel the pain. I don't hate iOS. I don't hate Apple. I do strongly dislike some their underhanded, anticompetitive actions. But I think they've gotten much better in that regard since Tim Cook took over. They do still have.some work to do, though. Since Microsoft makes more money from Android and going after all the OEMs, and forcing them to be install their apps anyway. I think it makes more sense to support the OEMs Android devices, than it does to support a dead platform like Windows Phone/Mobile. Besides it's missing the apps. That bloody Dual Core processor you're talking about is among the most powerful mobile processor on the market. It has less cores and GHz but that doesn't mean its less powerful then competition. Its not always about GHz and cores. Microsoft os lacks apps, its as simple as that..
WP haz no apps and games ! True. And Mfans keep bashing ios cause of its true mobile apps that the company offers than microsoft does on their mobile. Something tells me they are relying more on their Surface team to design their future flagships? Personally if Microsoft had continued to develop Windows Mobile OS which had lots of apps instead of dumping it to start over with Windows Phone I might still be a customer. Even on my PC I make my Windows 10 look and work as much like Windows 7 as possible. All Windows Mobile really needed was a more touch friendly interface not a full replacement.